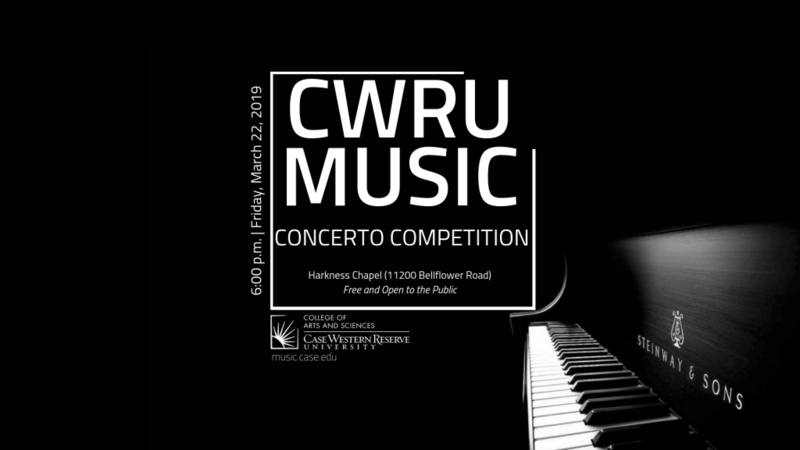 Each spring, CWRU undergraduate students compete in recital format for an opportunity to perform as a soloist with Symphony Orchestra or Symphonic Winds the following academic year. Up to 3-5 winners will be selected. This is one of the most anticipated events at CWRU. The Department of Music is proud to offer this competition each year as an opportunity for our talented musicians to gain performance experience. The Concerto Competition will be held on Friday, March 22, 2019, at 6:00 p.m. in Harkness Chapel (directions). CWRU trumpet student Alexander Lenhart will take over the @cwrumusic Instagram Story on Tuesday during the week of the Concerto Competition. Follow along throughout the week, experience the buzz of performance day, and get a feel of what the Department of Music community is all about! Check back here! The 2019 winners will be announced within a week of the competition.